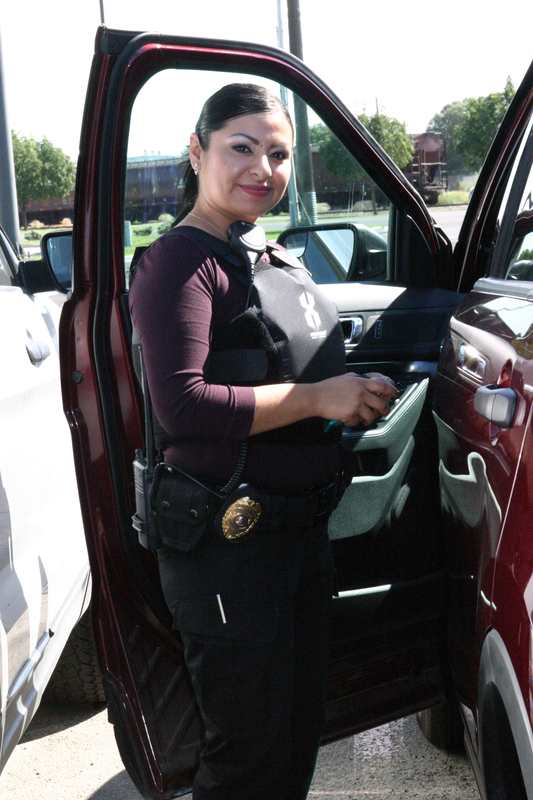 Cristina Santana, a Community Corrections Officer at the Sunnyside Field Office, prepares to do a field visit. 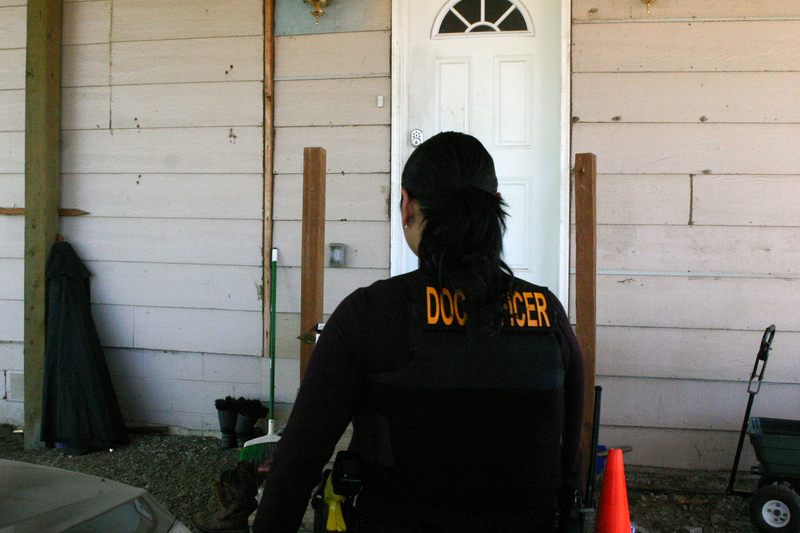 Community Corrections Officer Cristina Santana approaches the home of an inmate on community supervision in Sunnyside. 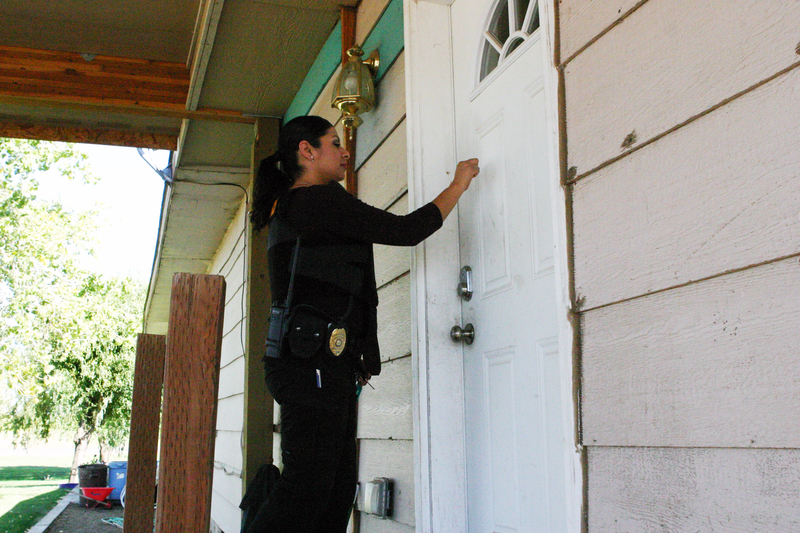 Cristina Santana knocks on the door of an inmate on community supervision in Sunnyside. 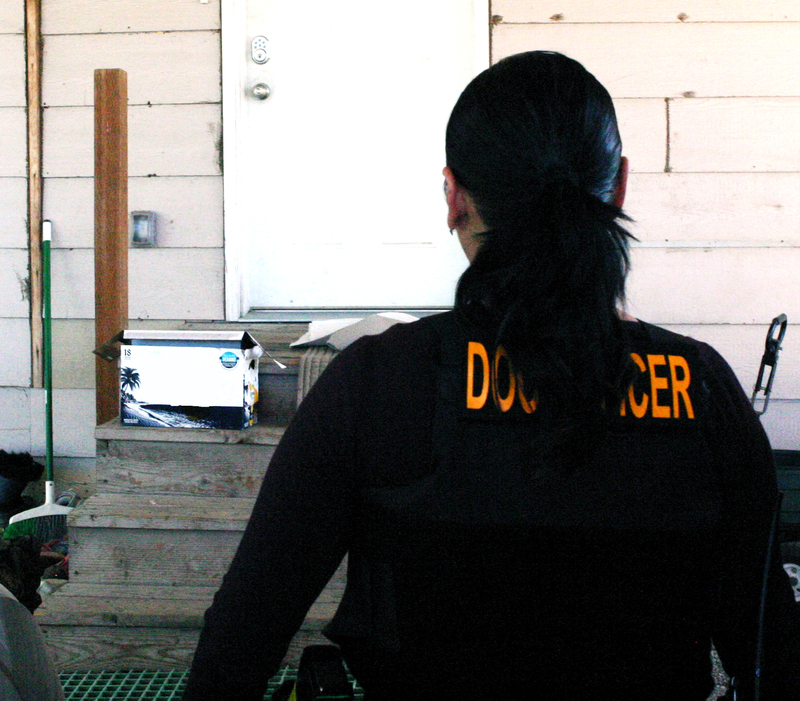 Cristina Santana makes a field visit to the home of an inmate on community supervision. Santana has been a DOC Community Corrections Officer for one year. 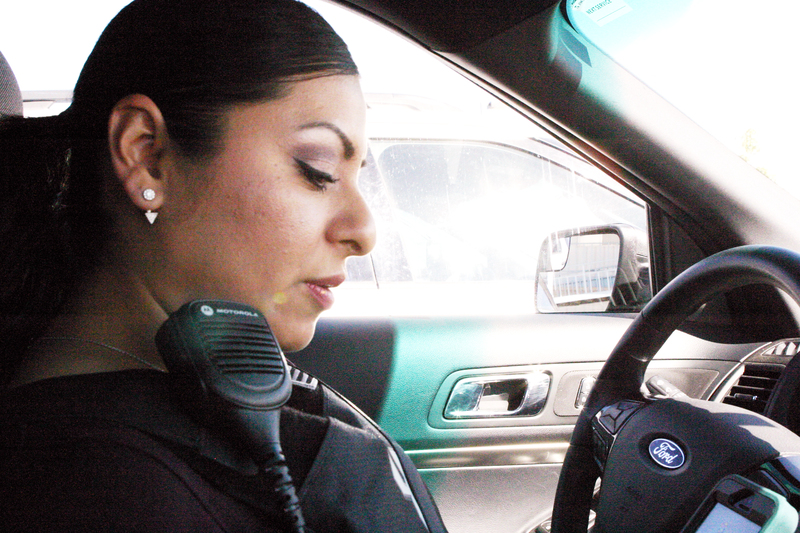 Cristina Santana is a community corrections officer at the Sunnyside Field Office. Her family immigrated to the U.S. from Mexico. Arturo and Cristina Santana stand outside the Sunnyside Field Office. Both attended Eastern Washington University and are the first in their families to graduate college. The number of Hispanic students enrolled in college has reached an all-time high in recent years, according to a report released by the Pew Research Center on Hispanic trends. Between 1972 and 2011, the Latino share of 18-to-24-year-old college students rose from 2.9 percent to 16.5 percent and now makes up about a quarter of that age group at two-year colleges today. However, they still trail other racial groups in the number of Bachelor’s degrees earned. 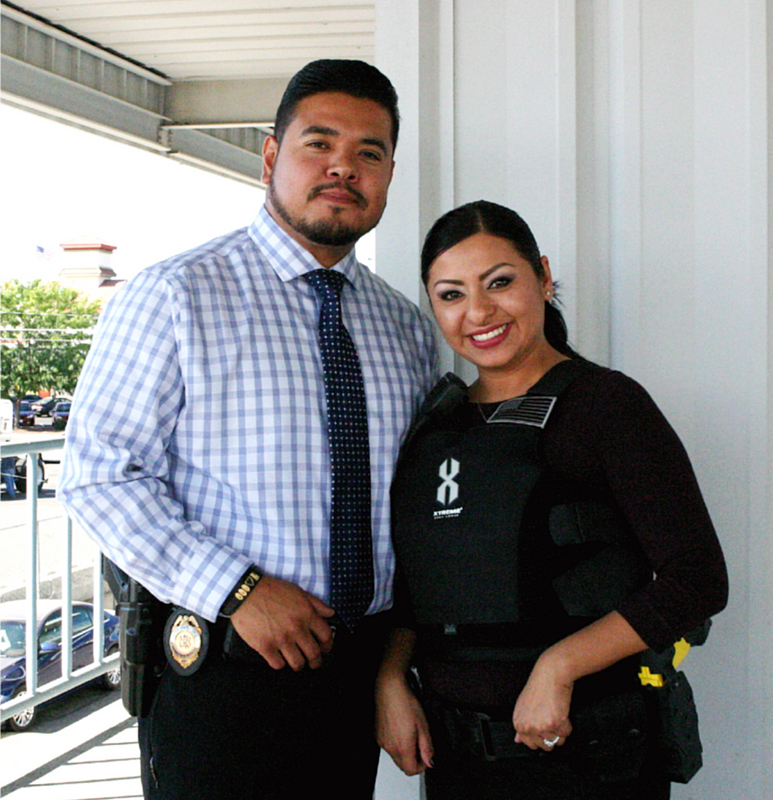 Cristina Santana, a Washington state Community Corrections officer and her husband, Arturo, a former DOC Community Corrections officer who is now a federal probation officer, both graduated from Eastern Washington University in the early 2000s. 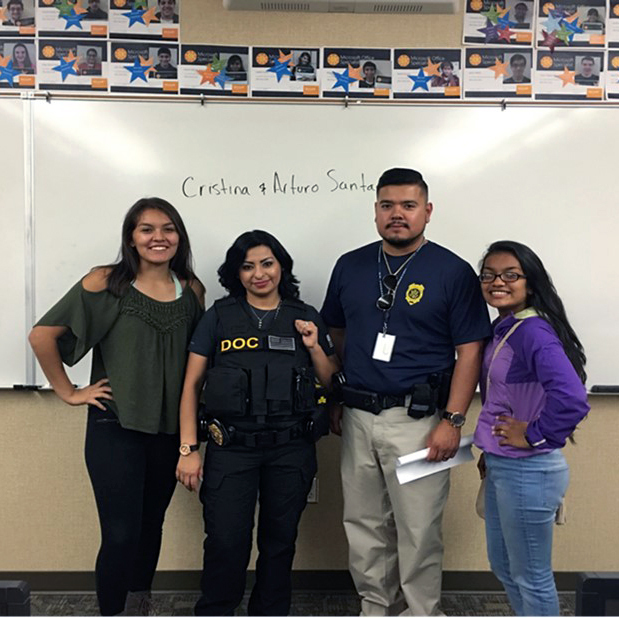 They recently shared their story of how they overcame systemic barriers to become the first in their families to graduate college and begin careers in law enforcement. SUNNYSIDE – The job of a community corrections officer isn’t glamorous. The people on their caseloads are returning to their communities after serving prison time for all types of crimes. It’s their job to make sure those they’re responsible for comply with their court-ordered supervision and guide them in the hopes they don’t repeat the mistakes that brought them to prison in the first place. 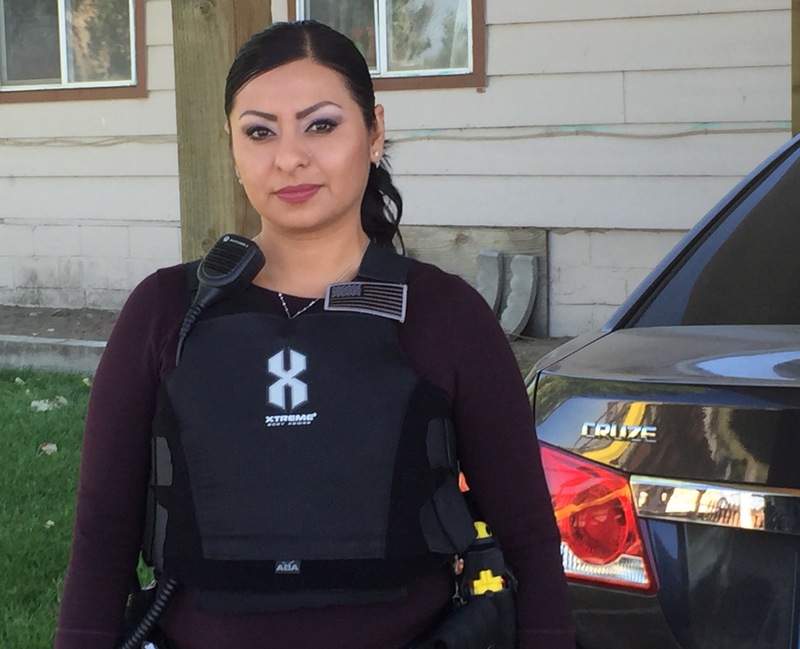 Cristina, 37, recently celebrated her one-year anniversary as a Washington State Department of Corrections, (DOC) community corrections officer, but has worked in criminal justice for more than a decade. She attributes her long-running career success to education. To view the podcast transcript, click here . Cristina’s family immigrated to the Yakima Valley from Matehuela, Mexico in 1982 when she was two years old and the second-youngest of eight children. One of her earliest childhood memories was waking up at 3 a.m. to work in asparagus fields before school. She said in Hispanic culture, it’s not uncommon to have most members of the family, even children, working because it’s considered important for everyone to contribute to the household. To make things harder, when the asparagus crop was not in season, her family lived the rest of the year splitting time between Skagit County, Wash. and Texas to earn money doing seasonal farm labor. Being a migrant worker often makes school difficult, according to Cristina. Each time her family moved meant going to a different school with a different curriculum or not attending school at all. As she got older, she noticed many of her older siblings drop out of school to work full-time to help pay for family living expenses, or get married and start families of their own. Field labor was the only work option Cristina had been exposed to all her life. That changed during her senior year at Sunnyside High School. Her school held a career day event where school counselors spoke about the college admissions process at various schools and financial aid—things Cristina had not known about before. When she told her father she wanted to go to college, she was met with resistance. Cristina hastily packed what she could fit into a duffel bag and bought a bus ticket to Texas. The cost of the ticket and food to last the three-day trip left Cristina with about $10 in her pocket. She was going to live in the same home the family stayed at while they lived in San Juan, Texas, about 15 miles from the college. But even with a roof over her head, Cristina still had obstacles to overcome. To get to campus, she reached out to her grandfather, who lived in the nearby city of Alamo. He let her borrow a beat up old truck that would stop working if the gas pedal was pressed too hard. Since she had been a resident of Washington, Cristina didn’t qualify for public assistance, so she said she often had to rely on the kindness of strangers to buy her food. Some days she didn’t eat at all. She remembers feeling embarrassed the first day of school because she was the only student without books and lab scrubs. After class she went to the registrar’s office and talked to some advisors about her financial need. She earned a modest scholarship to pay for her books and uniform. Staff referred her to the local United Farm Workers of America, a grassroots organization that lobbies for rights of farm workers. The organization gave her a small food stipend. In one year, Cristina finished the dental assistant program. By then, she decided she wanted to get a degree at a university. Her father also began to see how happy she was in college. She returned to Washington to attend Eastern Washington University to pursue her new passion: social work. When Cristina arrived at Eastern, she reunited with her boyfriend, Arturo Santana, whom she had dated during high school. The two later married. Like Cristina, Arturo was the first in his family to attend college. Arturo’s family also immigrated to the lower Yakima Valley from Michoacán, Mexico. Arturo was born in Sunnyside in 1979. His family settled there and found permanent work as laborers on a farm. Arturo says he got a lot of encouragement from his parents about attending school, but the barriers he had to overcome were his surroundings. Yakima County is known for having some of the highest rates of gang violence statewide, and several of Arturo’s peers fell into that trap. “Because we lived in poverty, we lived in areas of town that were surrounded by people living in those kinds of circumstances, which included gangs, drugs and that kind of environment,” Arturo said. He says many people he went to school with did not have strong parental figures in their lives, and ended up getting involved in gangs or sent to jail and never finished school. As of June 30, about 13.1 percent of the state’s 18,991 inmates in prison and work release identified as Hispanic, according to DOC statistics. In comparison, the U.S. Census reports about 12.4 percent of the state’s population of 7.1 million residents identify as Hispanic or Latino. He says seeing his peers get involved in the criminal justice system is what initially got him interested in law enforcement as a career. Much like Cristina’s family, he said his parents didn’t talk to him much about college, because they didn’t know what type of education or financial aid options might be available to him. It wasn’t until a college recruiter from Eastern Washington University visited his high school during a career fair that Arturo learned about a Chicano education program being offered there. “There was this one recruiter in a room full of people talking about things I couldn’t relate to, and there was this one person who was speaking to me,” Arturo said of the recruiter. The Satanas said they encountered culture shock during their time in college. Christina said it was exciting to be in a new place with different people, but it was overwhelming, too. Cristina and Arturo credit each other for providing the emotional support and encouragement the other needed to complete college. Arturo graduated in 2003 with a Bachelor of Arts degree in Social Work with a minor in Spanish; Cristina graduated in 2004 with a Bachelor of Arts degree in Social Work and a minor in Chemical Dependency Studies. After graduating, they both moved back to central Washington to launch their careers. Cristina worked at drug and alcohol treatment facilities in Spokane and Benton County. She worked at the Benton-Franklin County Juvenile Court for seven years before becoming a community corrections officer for the DOC. Arturo also worked in community corrections for the DOC for nearly seven years at both the Pasco and Sunnyside field offices, before becoming a Federal probation officer in 2014. Improving lives in the community isn’t limited to work. The Santanas also volunteer. They recently participated in a National Night Out in Sunnyside, a family event designed to get residents to know their neighbors and strengthen relationships with local law enforcement. They also spoke about their careers and how they prepared for college to a group of students at Yakima’s Eisenhower High School through a program called Upward Bound. Upward Bound is a program run through the U. S. Department of Education. It provides support such as tutoring, counseling and cultural enrichment to low-income high school students who would be the first in their families to get their Bachelor’s degrees. Cristina says several of the students with whom she spoke also come from migrant worker families and face many of the same obstacles she faced. She says it means a lot for her to be a role model and encourage them, as people once did for her. Cristina adds the most important people she’s influenced are her family, whom she says changed their views on education because of her accomplishments. She now has three nieces attending universities throughout the state as well as three daughters whom she constantly reminds college is possible.